Image caption El príncipe Guillermo quiere que sus acciones tengan un mayor impacto. Prince William has been speaking for the first time about his charitable work. The Prince is patron of 12 organisations. He says he wants to be more than just a royal 'ornament'. This is part of Prince William's solution to an age-old royal challenge - what to do as a future king while you wait to fulfil your destiny. As well as pursuing his military career, William has been encouraging the charities he's patron of to work together. This has led, for example, to the mountain rescue service taking some young homeless people from the charity, Centrepoint, up a Cumbrian mountain to improve their self-confidence. 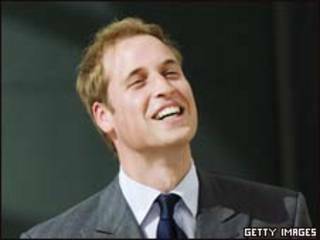 Prince William says he's trying to make a difference. Prince William and Prince Harry are also setting up a charitable foundation so they can give grants to organisations they support.